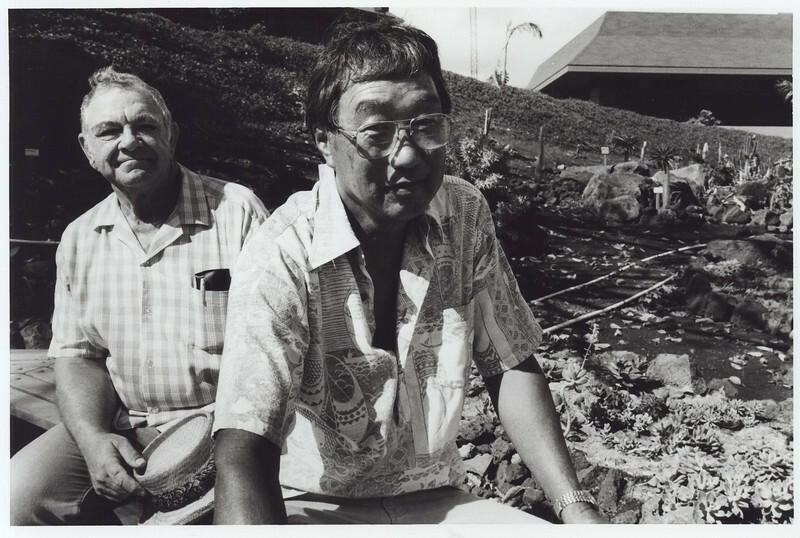 In the summer of 1988, Moriso Teraoka gets permission to landscape a small area on campus. He creates a cactus and succulent garden. Over the years, Moriso and a host of volunteers are able to expand the garden. Over twenty years later, Moriso's garden wins the Outdoor Circle Beautification Award in 1990 and 1998. These photos highlight just how far the garden has grown. "The weeds and the ice plants were overrunning the ground. I recall telling myself, “What a perfect place to plant my cactus and succulents.” One of my hobbies was collecting, and I was convinced that my plants would be right at home here at KCC. After a few weeks of looking at the weeds, I decided to do something about it and turned to Emmet Calloway, the Student Council president. I approached him and wanted to know if the school would allow me to clear out the area and let me landscape the site with cactus and succulents at no cost to the school. My friend Bill Jones and I were going to donate all the plants from our backyards which were overflowing and would benefit from a little thinning anyway."